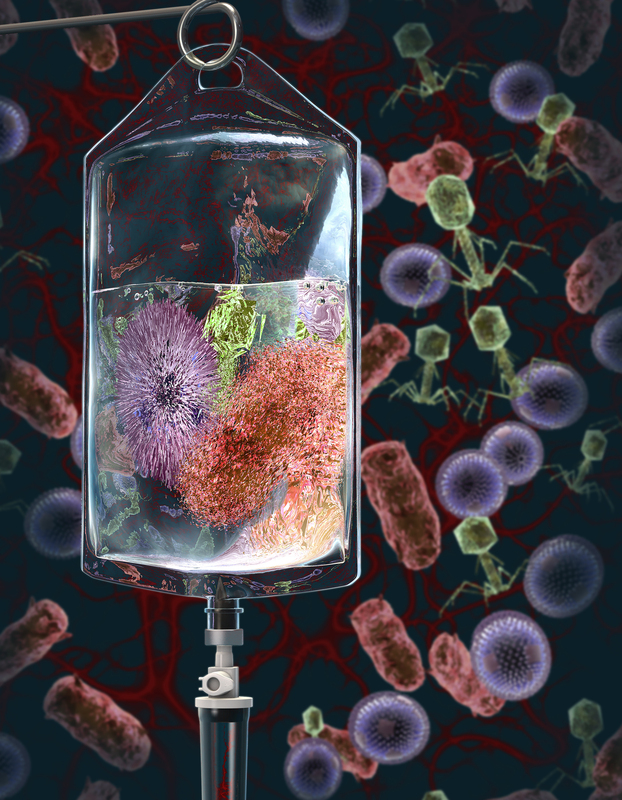 Depicted here is an IV bag and pathogens. The pathogens within the IV bag, are depicted as undergoing apoptosis, a genetically directed process of cell death. Marked by fragmentation of nuclear DNA, this is activated either by the presence of a stimulus or removal of a suppressing agent or stimulus, and is a normal physiological process eliminating DNA-damaged, superfluous, or unwanted cells —called also programmed cell death.